If it’s a durable, dependable septic tank you’re after, you’ve come to the right place. American Tank Company’s wastewater holding vessels are renowned within the industry as being “built to last,” ensuring you years of uninterrupted, reliable service. 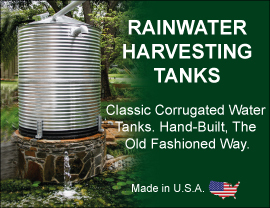 Constructed out of seamless rotationally molded polyethylene, or rugged fiberglass reinforced plastic, the cisterns – available in both underground and aboveground units – won’t leak, chip, rust or corrode. Naturally resistant to the chemicals and gases present in sewage and soil, our septic systems represent an environmentally friendly option for wastewater applications. Backed by a three-year manufacturer’s warranty, and fabricated to meet local, regional and national guidelines and specifications, American Tank Company’s septic tanks & septic systems come with an added “peace of mind” bonus. Call us today to find out more about our extensive line of septic tanks and accessories. Due to the nature of the rotational molding process, dimensions may vary from what is published and shown on the referenced drawings. Call toll free today: 1-800-655-9100 to speak to one of our friendly and knowledgeable Septic Tank Specialists.